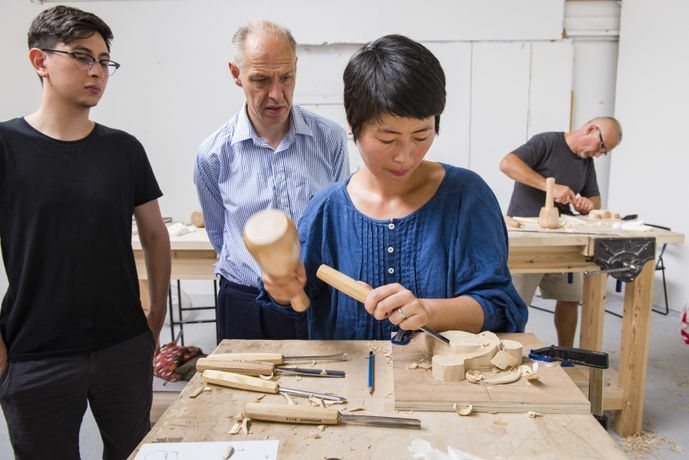 A rare opportunity to learn historic woodcarving skills in one of the few art schools still teaching traditional craftsmanship. 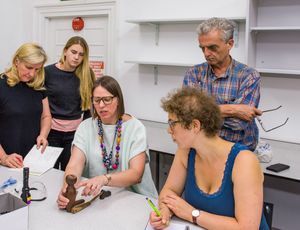 Out of raw timber, and with guidance, you’ll create an architectural ornament and learn how to work with the wood grain and handle your tools confidently. We introduce you to the specific skills and techniques needed for historic (not freestyle) woodcarving, firstly by way of a simple chip carving, and then by moving on to carving an original architectural ornament. Chip carving is a great place to start. This decorative technique was commonly used in the medieval and early renaissance periods in Europe, particularly on oak furniture. You learn about the different types of cut that each tool makes in the wood, and how the shape and size of the chisel dictate the pattern. If you have not carved wood before, you may find it hard to produce crisp cuts, and this 6” square practice piece helps you develop consistency and accuracy in the handling of your chisels. Practice makes perfect! 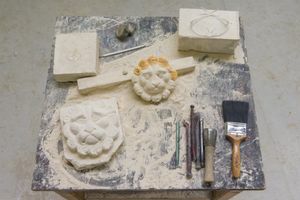 Once you’ve got to grips with the basic techniques, and have started to understand grain direction in timber and its effect on cutting technique, you can move onto the creation of an original architectural ornament: an acanthus leaf or oak leaf, for example, working from a plaster mould. 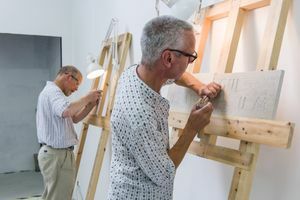 The modelling of a leaf introduces you to working in relief – it stands out from the surface rather than being set in – and you learn something of the way a carver may ‘draw’ with the chisel, in long, sweeping strokes. 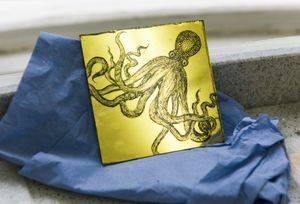 It’s a more sculptural process and very satisfying work. 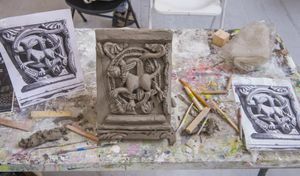 You’ll leave our course with two pieces of carving, and knowing how to approach and execute your own simple carving project at home. Led by expert tutor and woodcarver Saena Ku.